At age 3, Damian Sol was encouraged to choose an instrument from the wall at Jack’s House of Music in Carmichael, California. As a classic example of “be careful what you wish for,” he chose a tiny violin. Unfortunately, by this time, he was also miserable with classical music. 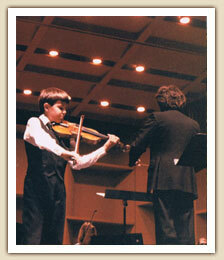 Groomed to be a prodigy, his violin teacher had him playing Paganini’s Violin Concerto #1 for three straight years, with big plans to ship him off to New York to attend the Julliard School of Music. This is when he discovered KILL ‘EM ALL, Metallica’s first major label release. 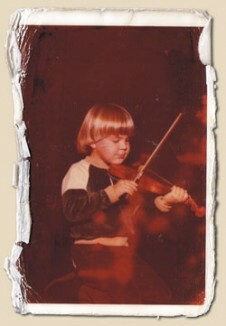 He plugged his violin into an amplifier shortly thereafter, officially beginning his quest to ROCK. To further this pursuit, he became an accomplished multi-instrumentalist, teaching himself guitar, bass, piano, drums and voice, as well as furthering his exploration of the violin through the study of jazz, country, rock and pop styles. He spent the next 10 years recording and performing with various projects in Northern California, along the way spending four years behind mixing consoles as a student of the recording arts at American River College in Sacramento. Damian paid his punk rock dues as a superb drummer in the sadly defunct OLD MAN HOMO, a persistent favorite of the Sacramento punk scene in the 90’s.